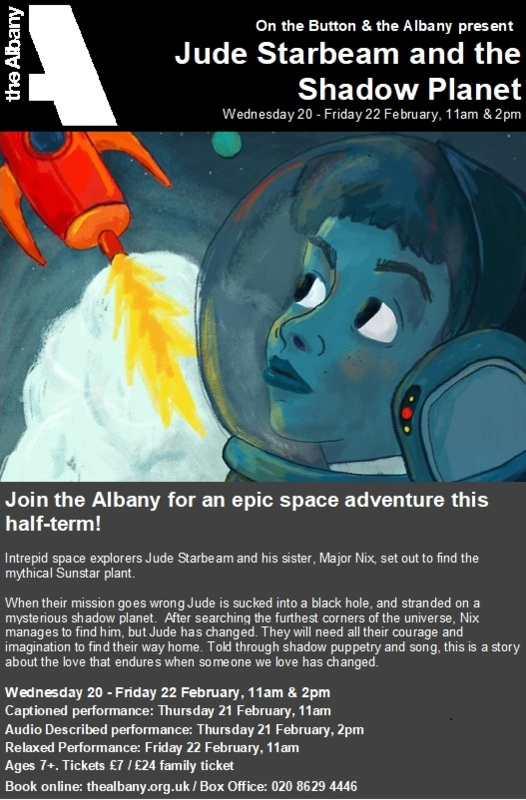 We have a very special family show for children aged 7+ at the Albany this half-term. It has accessible performances (captioned, audio described and Relaxed versions) and combines an epic space adventure with reflection on what it’s like when illness changes the family dynamic. It’s exciting and beautiful in equal measure.